"Astoria can't be saved" these are the words of Ken Livingstone (The Mayor of London). 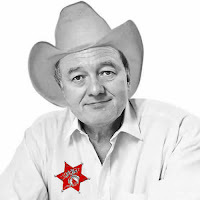 According to the BBC Radio 6 website : "London's Mayor Ken Livingstone today says the most important thing in London is to try and sustain the city's live music venues. It comes after The Spitz and Hammersmith Palais both closed, and he's now developing 'a live music strategy' to protect venues in the capital. "There are some instances where that just physically isn't possible. The construction of Crossrail means that The Astoria can't be saved." "Where you're demolishing one, you've got to replace it with something better." "We're basically putting in a vast train station but the developers that have actually drawn up the scheme for the area are replacing it with a larger live music venue." "I understand the historics behind it, but it wasn't at the cutting edge of modern comfort and so, my broad view is where you're demolishing one, you've got to replace it with something better." Personally, I don't really want a larger venue to replace The Astoria, I'm happy with a 2000 capacity venue, it means I might actually be able to see the stage and afford to get in. I really hope no more live music venues are shut down, London is definitely worse off for these closures since there is nothing much replacing these venues once they're gone. Good old property prices, it's just so much easier to sell your property to Starbucks or Gap or whatever else chain of command the 2012 Olympic visitors might enjoy and make a quick buck in the process. Cheer Ken! What's been your favourite Astoria gig? What are your thoughts on the closure? Please leave a comment. Bands have been giving their reactions to the planned closure. Built as a Crosse & Blackwell Pickle factory, The Astoria has played a varied role in the London’s West End since its conception. The venue’s first foray into the entertainment industry was as a kind of variety centre, where scantily-clad women would sell cigarettes and strip for The Astoria’s male clientele. When it became apparent that more money could be made from providing amusement for both men and women the site was turned into a music hall. Mean Fiddler acquired the lease for the London Astoria in May 2000, 'securing the future of live music at one of London’s most famous rock ‘n’ roll venues.' It has since been the primary choice for well-established bands' intimate club gigs in London. Big names to have played the Astoria include Arctic Monkeys, Muse, Blur, Biffy Clyro, Radiohead, Chris Cornell, Foo Fighters, Franz Ferdinand, Hard-Fi, InMe, Kaiser Chiefs, Killing Joke, The Libertines, Maxïmo Park, Megadeth, Jarvis Cocker, Martin Gore, Porcupine Tree, Amy Winehouse, Green Day, Rage Against the Machine and System of a Down. 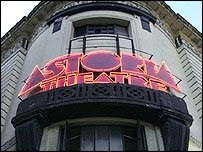 The Astoria also hosted the final gig by Manic Street Preachers, before Richey Edwards' disappearance.